Jason was born and raised in Southern California. Jason has always had a need for speed, it started when he was a young boy and his Papa would watch him race is go-cart around the streets of Fontana. Jason has been married to his wife, Brenda for 17 years, and is a father of two girls, Kaylee 14, and Britt 10. Jason and his family live in the beautiful San Bernardino Mountains. Jason has worked for AT&amp;T for the past 15 years. Jason is a licensed pyrotechnic operator. He has done fireworks for several extravagant 4th of July shows, television shows, concerts, and movies. His racing experience consists of working for a NASCAR Super Late Team for 14 years, as a crew member, truck driver, and spotter. 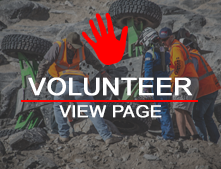 Jason enjoys taking frequent trips to Glamis with his family and their sand rail, spending time on Lake Arrowhead and helping others. Jason is a dedicated husband, father, and friend.